The Urban Politico: Did Cory Booker Violate an Unwritten Rule on Protocol? Did Cory Booker Violate an Unwritten Rule on Protocol? I am fully aware that a seat in the United States Senate doesn’t belong to the individual who occupies it, but belongs to We the People. I know that the US Senate seat in Massachusetts didn't belong to Ted Kennedy, even though we all identified the seat with him. However the reason we identified that Senate seat as Ted Kennedy’s seat, is because the people of Massachusetts reelected Ted Kennedy seven times. He must have done something right to hold the trust of the people for so long. 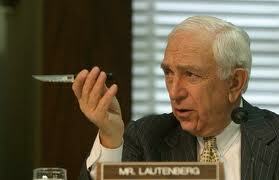 I don’t live in New Jersey, but I’m leaning towards the same sentiment on Frank Lautenberg. Lautenberg has not served as long as Kennedy, but he’s served a considerable amount of time; 1982-2001 and 2003 to present day. Obviously, he’s done something right. People don't give you 29 years for doing nothing. The other Senator in New Jersey is Bob Mendez who joined the Senate in 2006 through appointment and later by full-term election. So knowing this, it came as a surprise when current Mayor of Newark, New Jersey Cory Booker announced last December that he was exploring a run for the US Senate to represent New Jersey. Who does Mayor Booker intend to replace? Apparently, Frank Lautenberg. This information was not only a surprise to us, but to Senator Lautenberg himself. Again, I am not saying that Senator Lautenberg owns the seat and should never be challenged or forced to defend his work, I just think there is a proper way to handle situations like this. If there is one thing that life has taught me, its to never burn bridges because you never know when you will need the support of that someone or something in your corner. Imagine if President Obama had burned bridges with Hillary Clinton after their bitter battle for the Democratic nomination in 2008? Would he be starting his second term this week? I'm not saying that President Clinton is solely responsible for President Obama's win, but he sure helped tremendously to get President Obama across the finish line. Mayor Booker of all people should know this. So I really don't understand why he would plaster his intentions across the universe before taking the time to sit down with Lautenberg to gain his respect and support? It's that unwritten rule that is a combination of political savvy and freaking common sense. However, when I stop and look at Mayor Booker's political past and rise, he's actually been consistent. This is what he did in 2002, when he challenged then Newark Mayor Sharpe James. Granted James was corrupt and terrible for the city on so many levels, he was also subjected to Booker's "disrespectful" methods of "pursuit for power." This type of behavior is a major reason why Newark is so divided on Booker and he's often questioned by long-time residents on his true intentions. As an outsider looking in I believe that the Booker hatred is ridiculous, but evaluating the challenge to Sharpe James and now this challenge to Senator Lautenberg, I understand the concern. "I have four children; I love each one of them. I can't tell you that one of them wasn't occasionally disrespectful, so I gave them a spanking and everything was OK."
It's obvious that Lautenberg is hurt and disappointed, and rightfully so. This was handled poorly and a bit sloppy in my opinion. It's no secret that Mayor Booker is ambitious and has the potential to do great things at a higher level in politics, but he should have know better. 1)Did Cory Booker violate an unspoken rule on protocol, by announcing his intentions without seeking Senator Lautenberg's blessing and support? 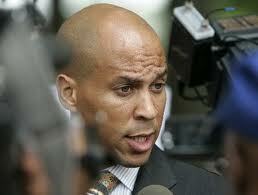 2) Should Lautenberg step aside and let Booker run clear, or should he challenge him on principle? 3)If you live in New Jersey, who would make a better Senator - Booker, Lautenberg or neither?